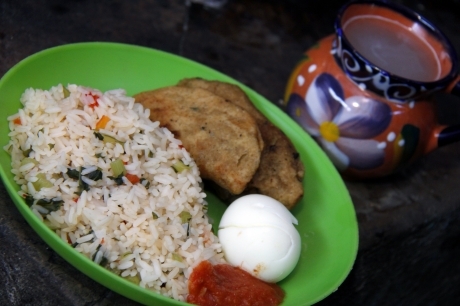 4 March 2019 (FAO)* — High up in Guatemala’s Cuchumatanes mountains, lunch is served in the Torres household. Mom Catarina places a steaming plate of empanadas – pastry stuffed with tomatoes, onions and greens – on the dining table in front of her three daughters, whose eyes shine bright in anticipation. 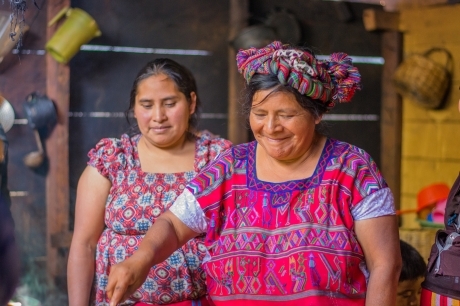 Although the recipe comes from a new cookbook created specifically for the 2 000 or so families from the Ixil Triangle, in the region of Quiché, the recipes are based on ancestral knowledge and native crops. Following 36 years of civil war, recipes normally handed down from mother to daughter were lost and levels of poverty and malnutrition were high. Processed food had replaced locally grown vegetables and herbs. “When I was a girl I had no idea that these herbs and vegetables that I cook today even existed,” says Catarina, who was 15 when peace was finally restored in her region. It was not just the people who suffered during the long years of conflict, it was also the Mayan way of life. When peace came to Ixil, it arrived at streets that were silent, fields uncultivated, without flowers, without crops. Mass depopulation, some directly forced, some indirectly through necessity, had led to a knowledge gap and a deep disconnect between generations. A UN Joint Programme for Integrated Rural Development led by FAO, UNDP and PAHO/WHO and financed by the Government of Sweden is now supporting rural families in the area. 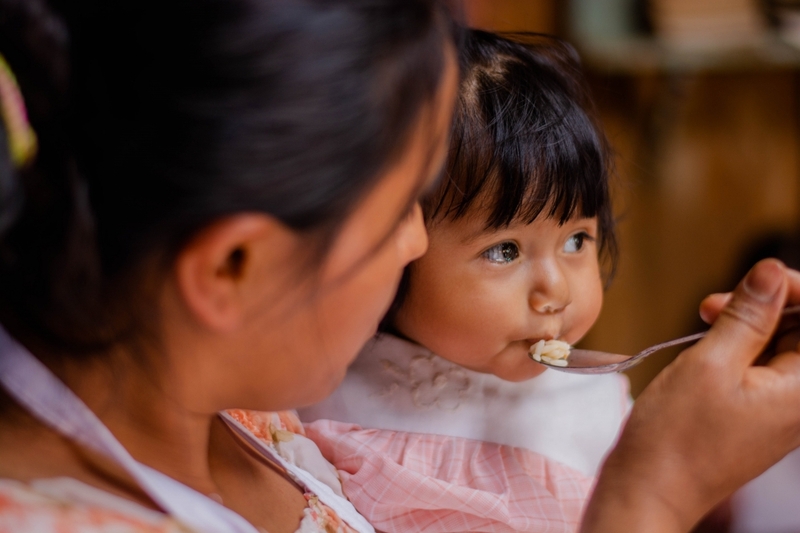 As part of its activities, FAO and MAGA (Guatemala’s Agriculture, Livestock and Food Ministry) began a nutrition education programme, to revive the old traditions of cooking with indigenous, nutrient-filled crops. In addition to a cookbook of dishes typical to the region, the programme also offers training on growing native crops as well as lessons on cooking according to nutritional best practices. “The idea is that the families return to their ancestral cultural traditions,” says FAO nutritional technician, Jonás Colón. “These practices are much easier for the families to adopt because they are familiar with the taste of the food they are growing,” he adds. By following tradition and growing native species, the villagers can save time and money by not using fertilizers and insecticide. While rates of poverty and malnutrition are already high in the Quiché region, these rates are even higher amongst the Ixil population. The poverty rate is around 87% of all families, while over two-thirds of children in the three municipalities of Santa Maria Nebaj, San Juan Cotzal and San Gaspar Chajul suffer from chronic malnutrition and lower-than-average height for their age. And, according to FAO data, these numbers are increasing, in part down to the inaccessibility to the villages, but also down to the lack of education amongst Ixil parents. In 2015, the Nutritional Recovery Center received 50 children from the Ixil area who suffered from severe wasting. Using training methodology developed by FAO, the staff of this UN joint programme center has prepared nutritional menus specifically for mothers. Catarina has joined a group of 17 women in the community to learn more about how to cultivate native species of herbs and plants and integrate them into their families’ food regimen in the most nutritional way possible. The nutrition education program has made a huge difference to the 37-year-old’s family and to the community as a whole. The cooking lessons, strengthened nutritional knowledge and technical support are helping to reduce all forms of malnutrition. And the Ixil cookbook has helped spread the simple message that greens are good for you. Now the community tables are groaning with chard and chipilín, a local leaf similar to spinach, squash and amaranth. Eggs are provided by the villages’ hens. “Each recipe uses the food that the villagers typically grow in their vegetable patches and improves on the nutritional values that each dish provides,” says Colón. The cookbook provides instructions on how to make 16 dishes and 16 drinks. Catarina’s empanadas were accompanied by a rich-tasting beverage made from oats – and all the recipes use cooking methods that any household can follow easily. “Since we started to eat differently, my children are much happier with the food that I make for them,” Catarina says. “Now they don’t sleep in the afternoons and have much more energy to play.” She is a convert. “Now I want to learn how to make desserts and learn how to sow and cultivate new crops,” she smiles. “Together with the community we are retrieving the ancestral knowledge of this thousand-year-old culture,” finishes Colón. By investing in local communities and reinforcing their own traditions and ancestral knowledge, FAO strengthens communities, moving us closer to the global goal of Zero Hunger.